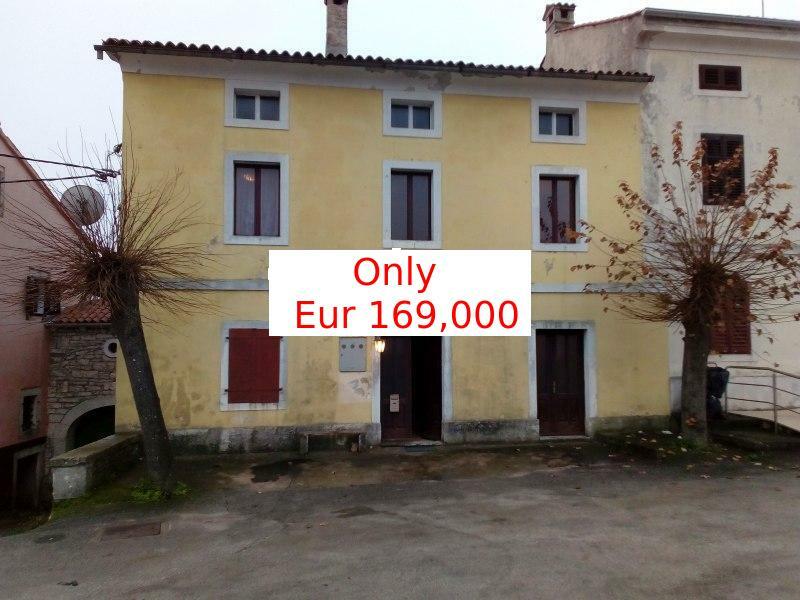 We are pleased to offer this interesting 7 bedroomed stone building with many possibilities in a good location in the middle of the Istrian village of Tinjan. 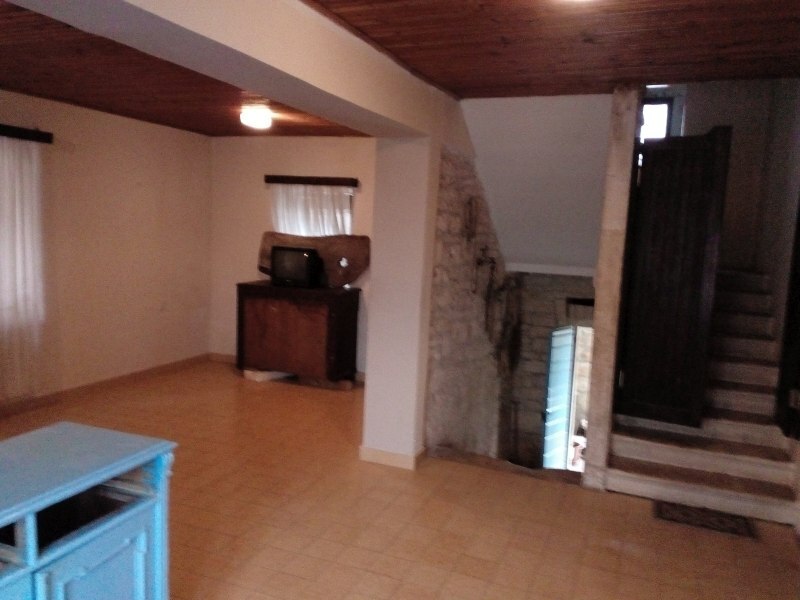 Given the size and location, this could be either a house, as it is now, or a B&B hostel or have a restaurant on the ground floor and accomodation above. There are four floors with a wide staircase, which is stone up to the first floor and down to the Podrum.The ground floor is tiled and the Podrum is floored with tavelica (Former roof tiles). The double front doors open onto a large (circa 40m2)open area with a large kitcen, with its own door to the outside on the right. The stone staircase to the upper floors is ahead. Downstairs is the Podrum, in three sections, with double doors to the outside. 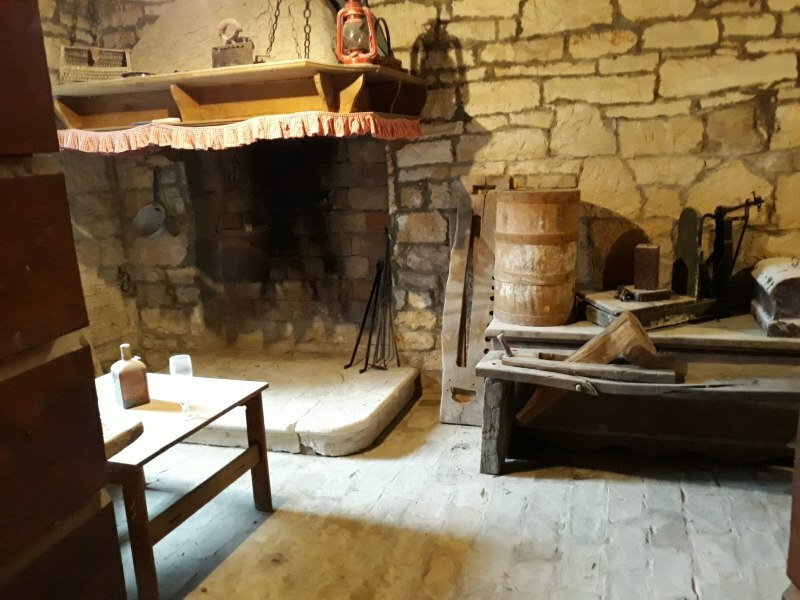 One section has a traditional stone fireplace, The middle one has a stone bar and the right hand one has stone pizza oven in a replica Kazun or shepherds' hut. 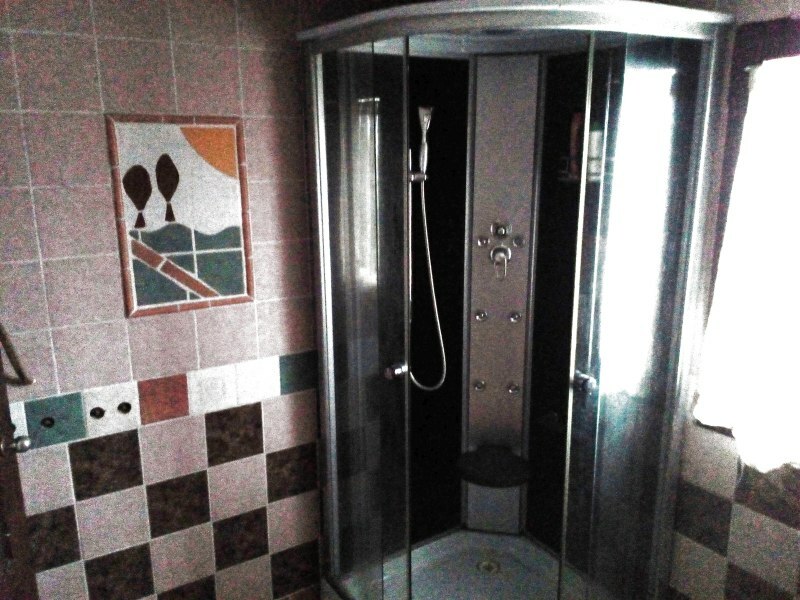 There is also a WC and wash hand basin.There is a terrace with stone arches offering views of the glorious wooded Lim valley and a small garden. On the mezzanine is a bathroom. This needs completely redoing, as it is in a poor state. 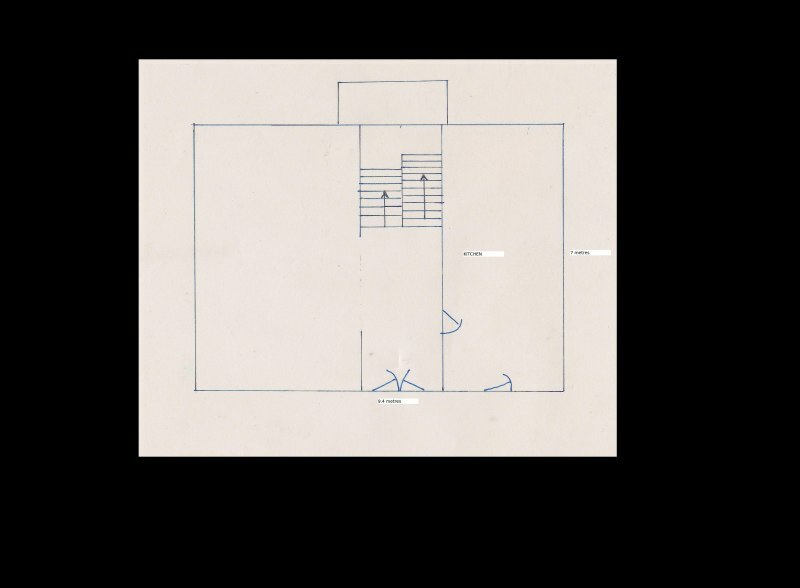 On the first floor, there are three single bedrooms and a huge fourth bedroom which could either be split into two or a further bathroom added. On the second mezzanine is the second bathroom. 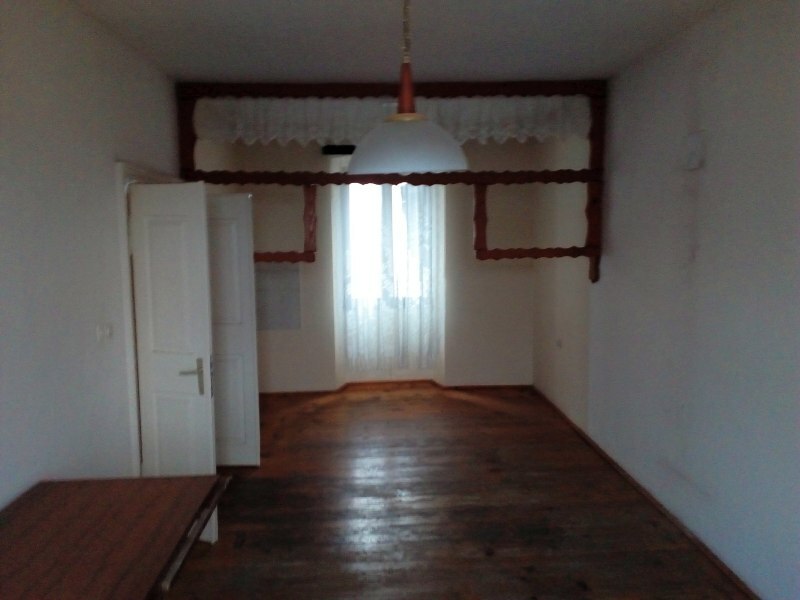 On the top floor there are two more huge bedrooms and a single bedroom. These all have reduced height. 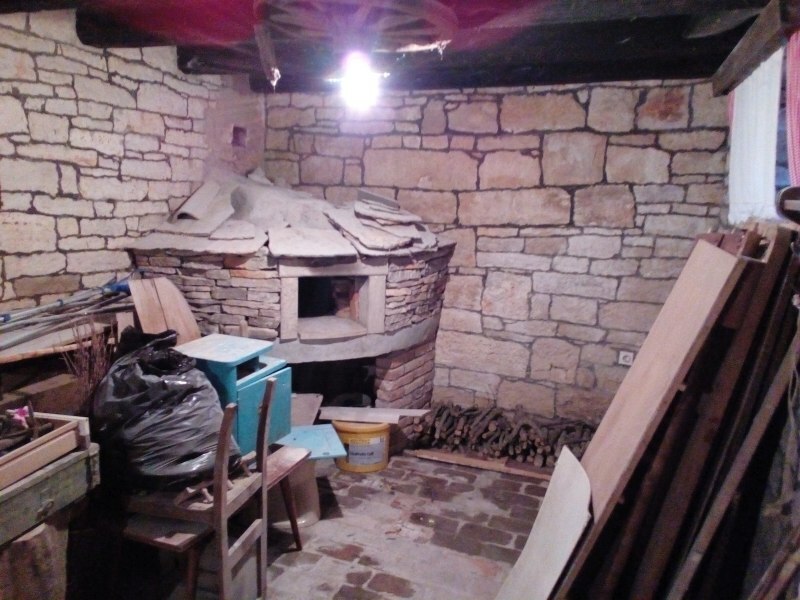 Whilst the structure is solid, the interior is in need of renovation and modernising. Outside, to the front, there is parking for three cars, with plenty of further on street parking. 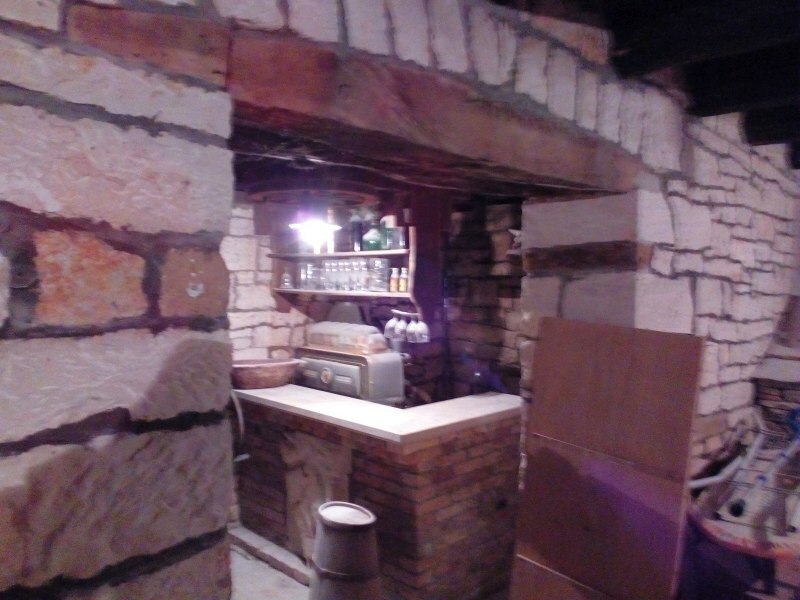 Tinjan is a typical Istrian village, with two markets and a post office, all within walking distance. Each year it organises the huge Prsut Fair, when visitors come from all over Europe. 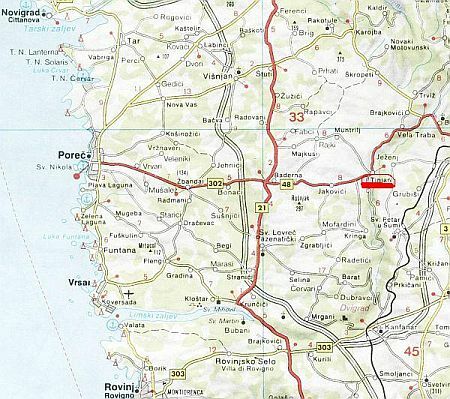 There is a good road that runs to the coast at Porec, 20mins away in one direction and to the regional centre of Pazin, in the other. It is also on a bus route. 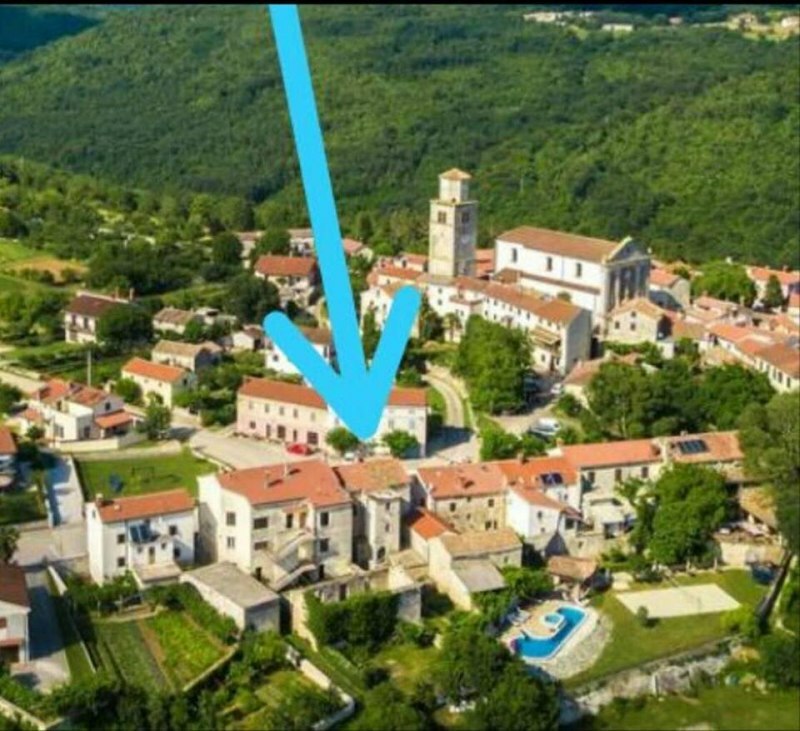 Access is easy, as the Ypsilon Istrian motorway junction is only 5km away which leads down to Pula, with its Roman buildings and Ryanair airport in one direction and the border and on to Trieste, in the other.